This recipe was simplicity itself. So long as you do get the butter really really soft (bung it in the microwave, if you have one, on defrost or warm until it’s just on the point of melting) the first step will take you not more than 5 minutes. Then you go to bed. Easy! The dough itself is ridiculously sticky. I think mine was more sticky because I have very large eggs from a friend’s hens rather than homogenous supermarket ones and there was no way it was going to make balls. However, I surrendered to the goop and just washed my hands, it washes off very easily actually. Children would love this bit, grownups may not! I made mine in a silicone mini brioche mould I picked up for a bargain price ages ago. I’m forever seeing wonderful things like this and grabbing them so it’s nice to actually use one for once! However, a muffin tin would be perfect for the job too. I made a mixture of plain and chocolate, you will note that the Chocolate Brioche have flat tops, this is because I was being cheeky and cooking something else at 200C and thought I could cheat and do them together. I figured 190C was quite low for a bread but I was wrong, 190C is perfect for this recipe. 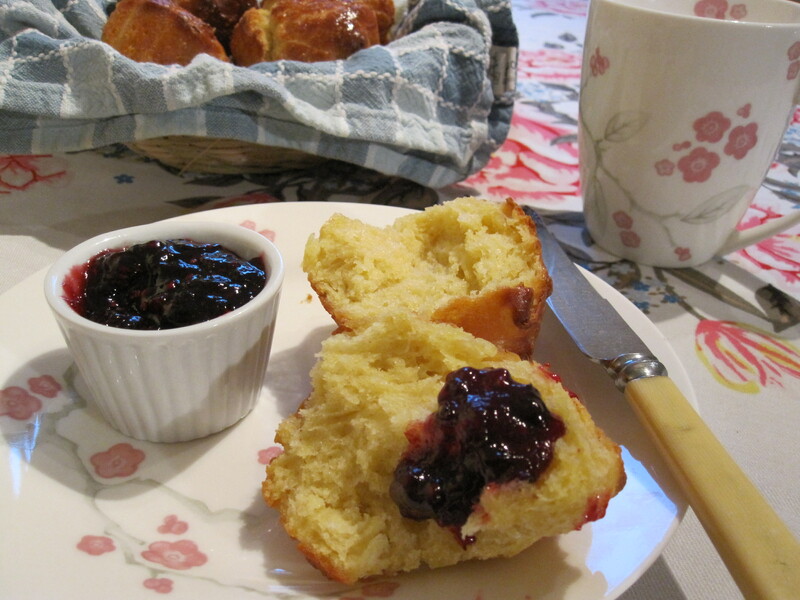 – In a large mixing bowl beat together the butter, sugar and eggs. This will get rather lumpy and gross. – Add the flour, yeast and salt and give it a little mix together, just a tad. – Pour in the milk and mix it all up until it forms a soft, sticky goop. There will be chunks of butter, this is fine. – The next day heat the oven to Gas Mark 5/190C. 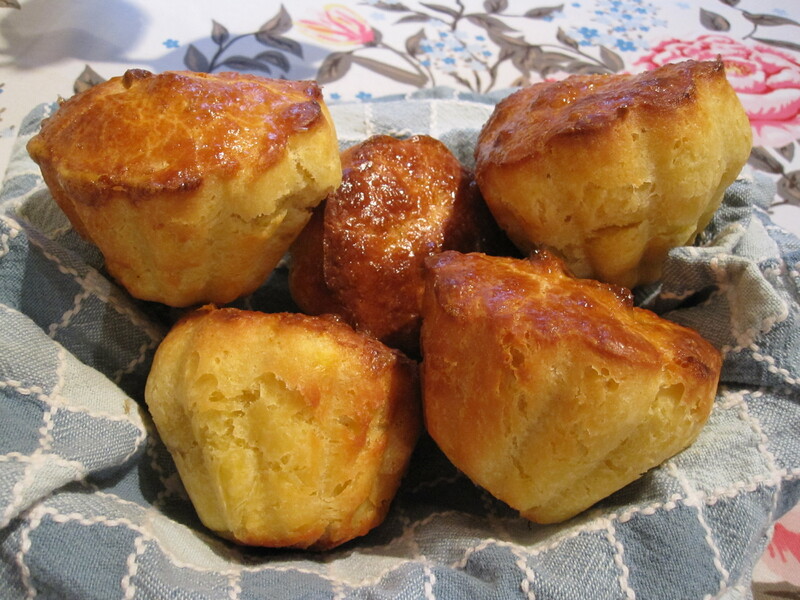 – Take your muffin tin and grease the holes with a little sunflower or other tasteless oil. – Rub your hands all over with oil too. 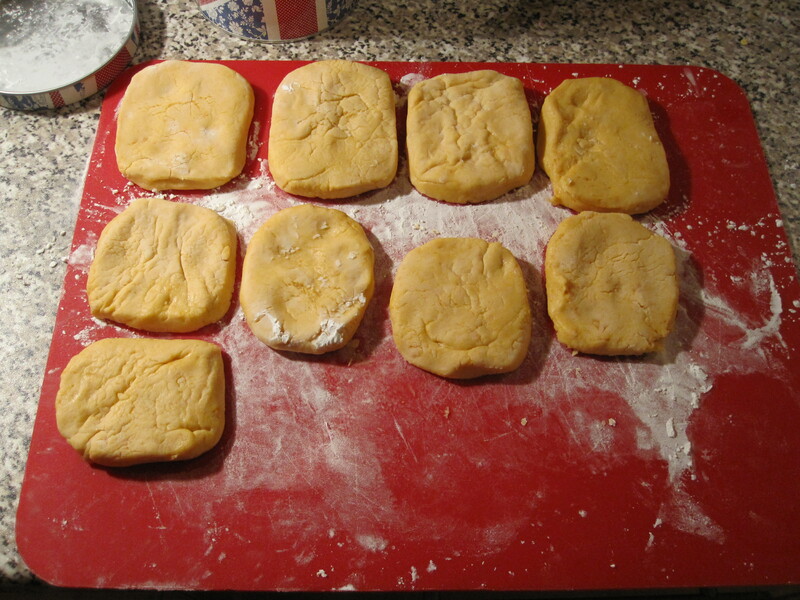 – Grab small handfulls of the dough and drop it into the holes. It will be very, very ,very sticky. Go with it. Shape it a little but don’t worry about it too much. – If making chocolate filled ones put a square or two of chocolate in the middle of the dough and pinch/twist/smooth the dough over the top. – Brush the tops with beaten egg and pop the tray in the oven and bake for 20 minutes until just browned on top. 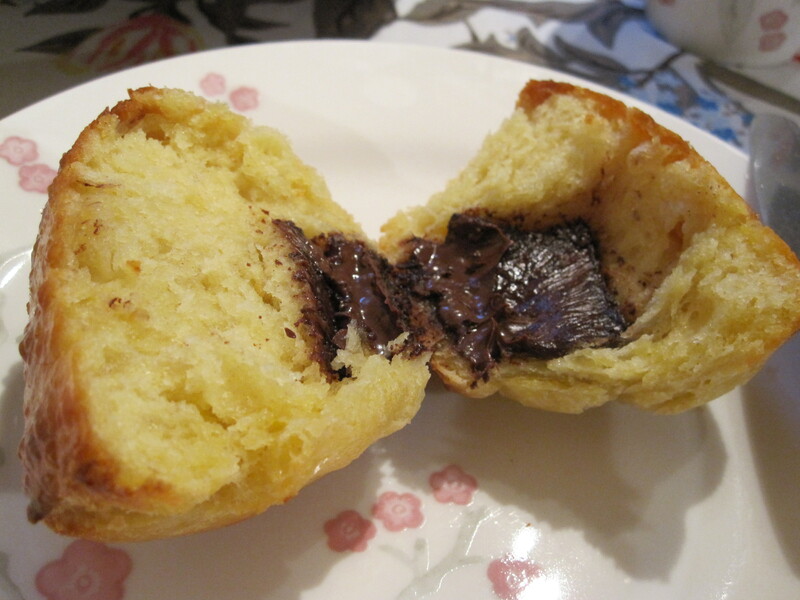 – Turn out onto a wire rack for a few minutes then serve warm with jam/nutella/whatever your poison is! Fruits of the Forest Jam is my personal fave but go nuts! Sorry for the long break guys, I’ve been reverting to the old favourite recipes recently so haven’t had anything new for you! However, I was feeling adventurous tonight! I’ve been trying to think up an English name for these delicious deep fried morsels. 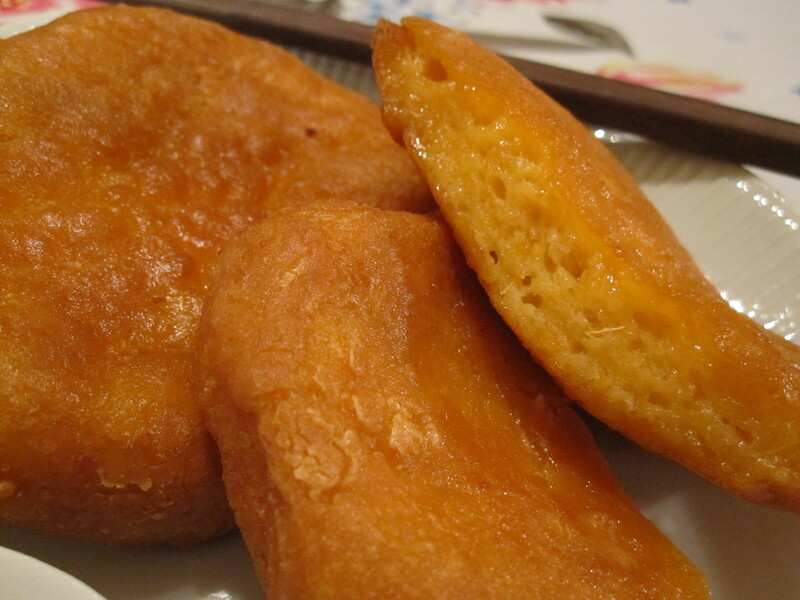 The Japanese name, Imodango, means sweet potato dumpling/ball, but this isn’t really a true dango and I think something a bit more poetic is called for so, if you want an English name, then Deep Fried Sweet Potato Pillows it shall be! These come from one particular restaurant in Japan that I ate at at least once, if not three times, a week when I was on my gap year, Tokai Sendan. The owner took it upon himself to educate us in Japanese food in exchange for practicing his English on us. I still think we won rather, we got some astounding meals from him but the absolute stand out dish we ordered every time without fail was Imodango. I wanted to visit again when I went back to Tokyo for University but the restaurant had closed. Therefore it was about 7 or 8 years ago that I last tasted these, which made it rather difficult to recreate them, let me tell you! They might be a bit of an aquired taste for some. Like much Japanese food they rely on the mixture of sweet and salty that some people just don’t like. The texture is also out of the Western way as they use glutinous rice flour, which gives a sort of fluffy/chewy sort of texture inside, all wrapped up in a cripsy outside. Now, all warnings aside, I do hope you try these, they’re unusual, yes but delicious! Serve these with any kind of stir fry (yakisoba for preference), may be some gyoza, and a nice bowl of steamed edamame. – Chop the sweet potato into chunks and boil for 20 minutes in very lightly salted water. – Mix together the flour, sugar and baking soda in a small bowl. – Drain the potato and leave to dry a little, then mash in a large mixing bowl. – Gradually stir in the flour and most of the water, then the rest if it looks ok. It will come together, never fear! Leave it to sit for a minute or two. – Dust your hands and a board in cornflour or rice flour and pinch off golf ball sized bits of dough and shape them into pillows. You don’t need to be too precious about it, the mixture should make about 12 pillows. – Heat the deep fat frier to 180C. May sure it’s good and hot, don’t jump in too early. – Place a few of the pillows in at once and fry for about 2 minutes then turn over and fry for another 2 minutes. They should be puffy and golden, not too dark. – Take out and place on kitchen paper in a warm oven while you do the others in batches. 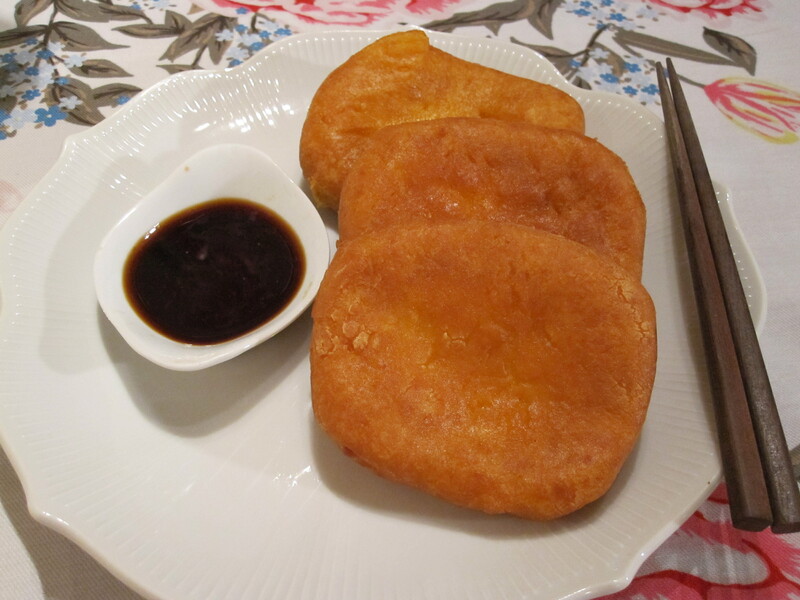 – Serve with soy sauce to dip them in as a side with Japanese food. 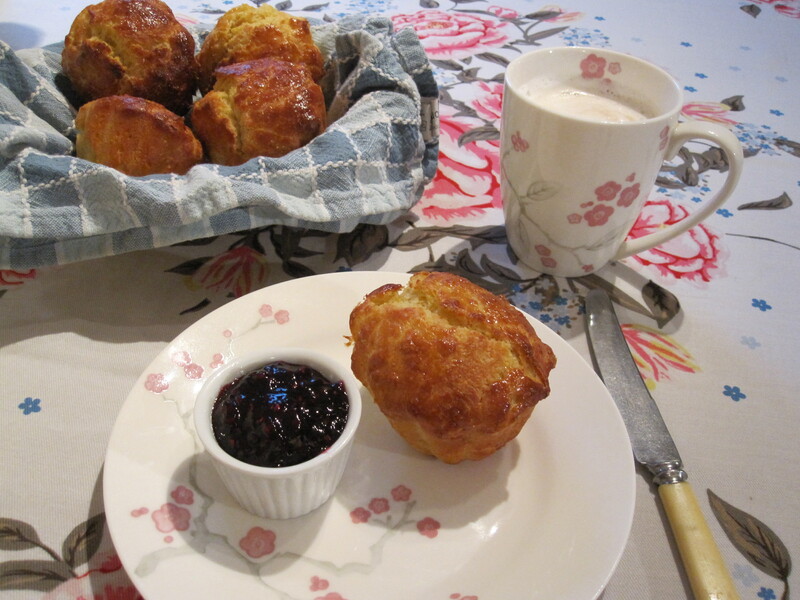 – In a medium sized mixing bowl cream together the butter and sugar. – Add the eggs, keeping back about 2 tbsp for brushing, and the vanilla. Beat until smooth. – Add the ground almonds and flour, mix until smooth. – Roll out half of the puff pastry until it is the size of a dinner plate. – Cut round a plate as a template to make a circle of pastry. – Place this pastry on a lined baking tray. – Roll out the second half of the pastry to the same size. – Score this half of the pastry with whatever pattern you desire. – Spoon the raspberry jam into the centre of the pastry ont he tray and spread out leaving a gap of about 4cm round the edge. – Spoon the frangipane on top and nestle the whole almond in somewhere. – Brush egg around the border you have left. – Carefully place the second sheet of pastry on top. – Brush the top with egg, avoid brushing the sides as this will interupt the rise of the pastry. – Place in the centre of the hot oven and bake for 30 minutes. – Take out and either serve warm or cool. Don’t forget to have a crown ready for your “King”. * No, really. 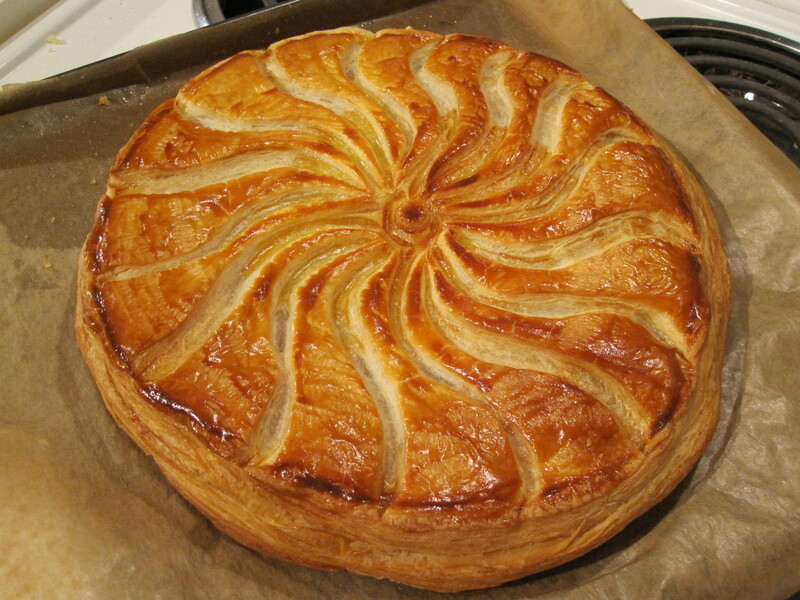 I didn’t take the proper care to seal about 2″ of my Galette, as a result frangipane escaped everywhere! Although, I have to say it made a lovely dinner as I just ate that with an extra spoon of jam! It does mean that one side of my Galette isn’t too pretty and may even be hollow in places so take care. I love to make this salad in the summer when it’s baking hot but lately I’ve been craving it in what is pretty much the depths of winter. May be I’m craving the warmth of summer or may be I’m after something lighter than all the “hearty” food that is prevalent at this time of year. 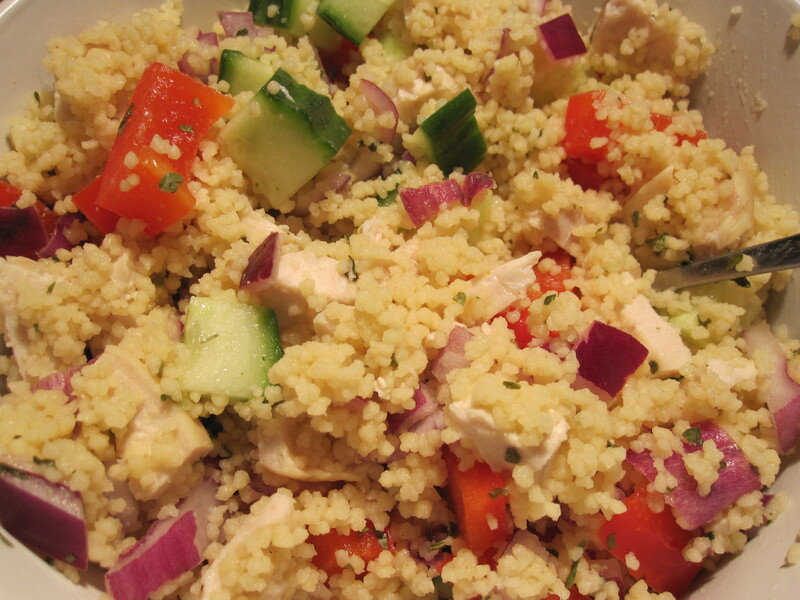 Either way it seemed like the perfect time to whip up a quick Couscous Salad, especially with so many New Year’s Resolutioners out there. For my part I won’t be dieting but I have decided that I’m going to try harder with my appearance this year. No more boring trousers and a top for work, trousers are banned! It’s all about skirts and dresses now. If you are looking to cut back a bit in the food department this is a light, healthy salad that fills you up and hits all number of spots! Even better, if you have cooked chicken to hand it’s super fast too, ready in 5 minutes! – Put the couscous and stock cube in a meduim sized bowl. – Add 1 espresso cup of boiling water and the lemon juice. Stir and leave to sit while you chop everything else. – Add the remaining ingredients and give it a good stir to mix. 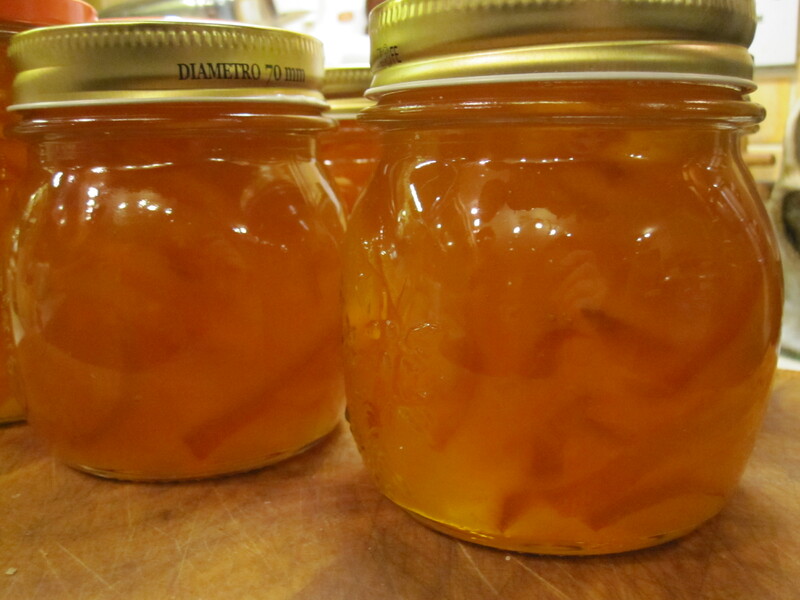 – May be give another sprinkle of lemon juice and then serve with a dollop of creme fraiche.